WDA (William Duff Architects) has been awarded a coveted Merit Award by the American Institute of Architects San Francisco (AIA SF) chapter for its daring and whimsical renovation of a Napa Valley rustic barn into a family retreat. 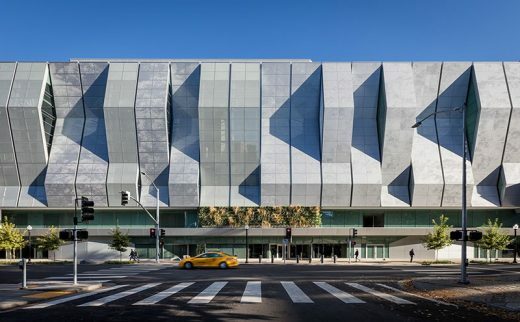 WDA specializes in delivering thoughtful, innovative architecture across multiple sectors throughout the Bay Area. 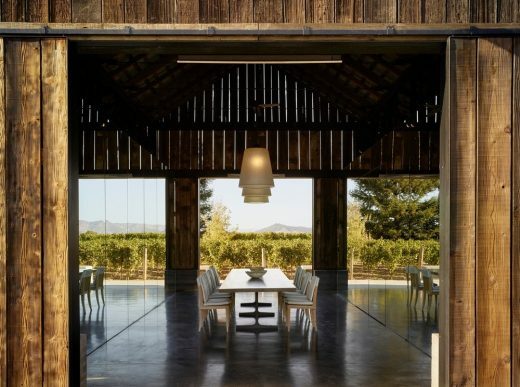 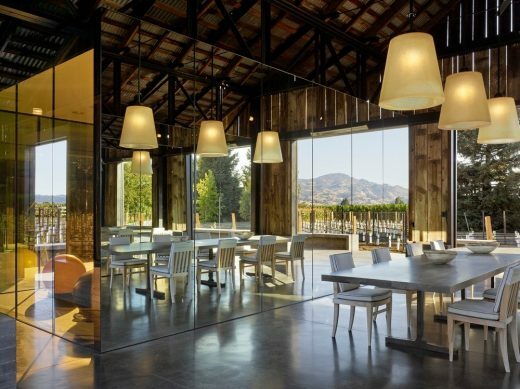 Adventurous clients commissioned the unexpected transformation of the century-old former hay barn, an archetypal wine country form reflective of the region’s history. 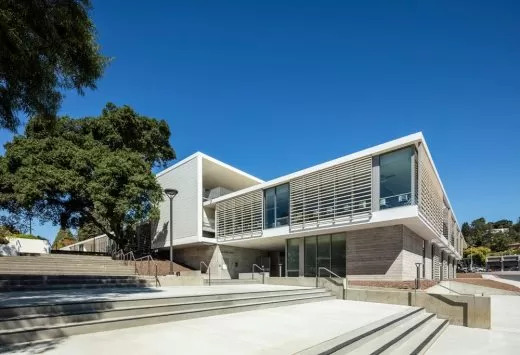 Noted art patrons, philanthropists and modern architecture connoisseurs, the couple loved the structure’s utilitarian form and sought to preserve it, while adapting the interior in a provocative way for contemporary use. 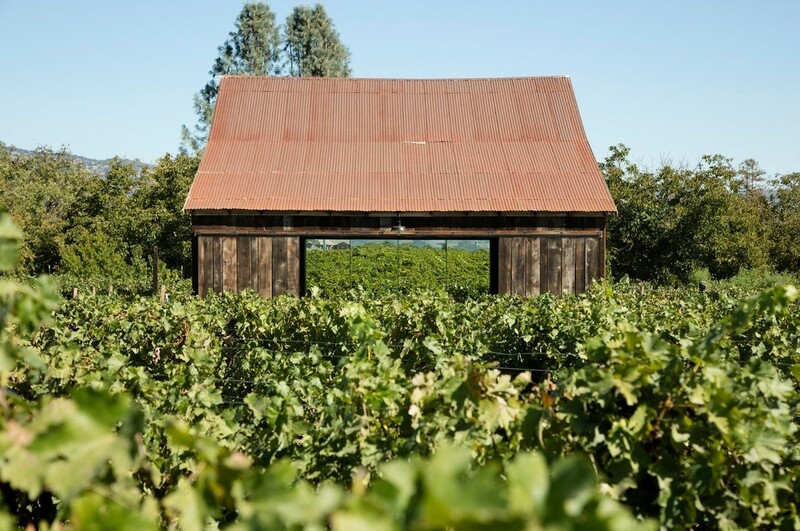 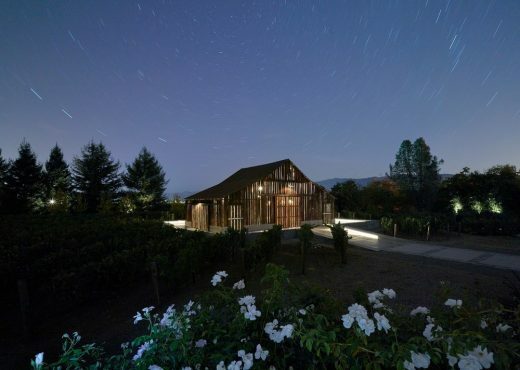 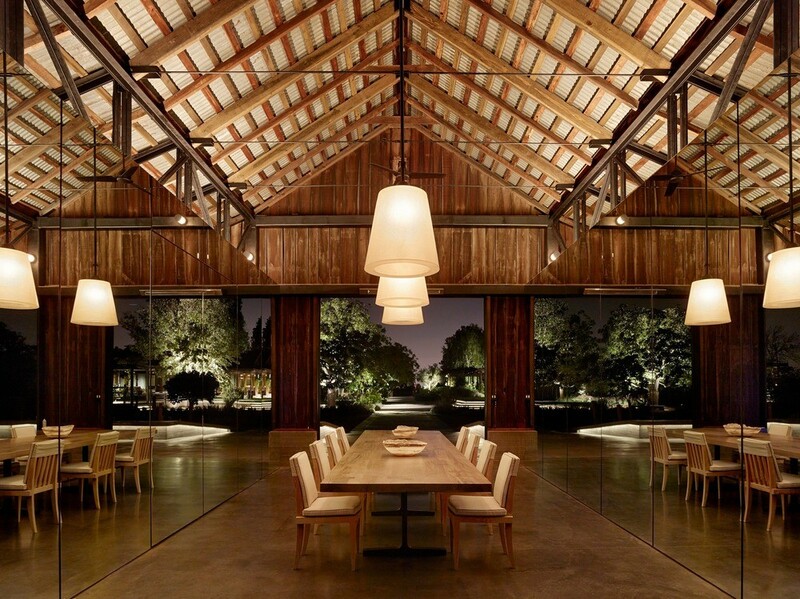 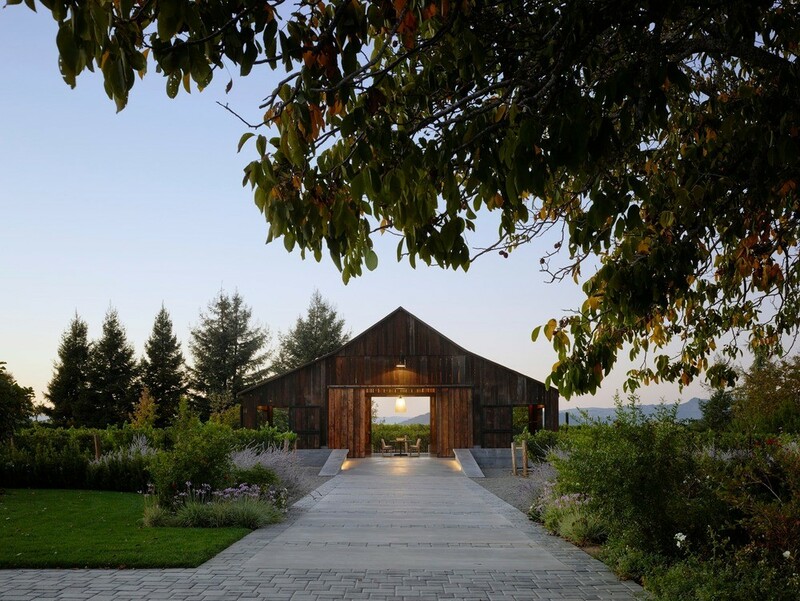 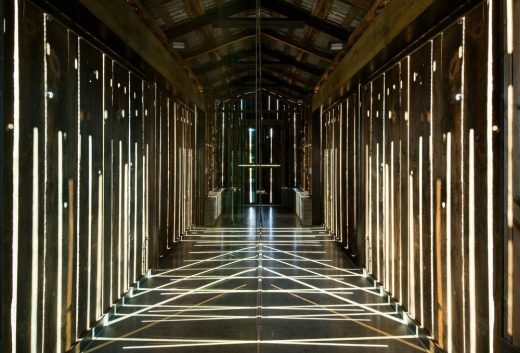 Originally located on a seven-acre property in Napa Valley, the barn was relocated without any need for demolition and sited closer to the vineyard, surrounded by site-specific artwork. 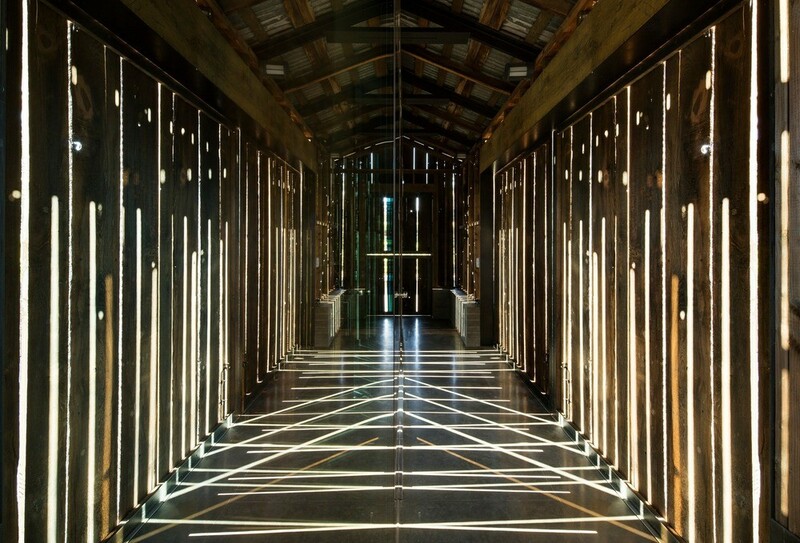 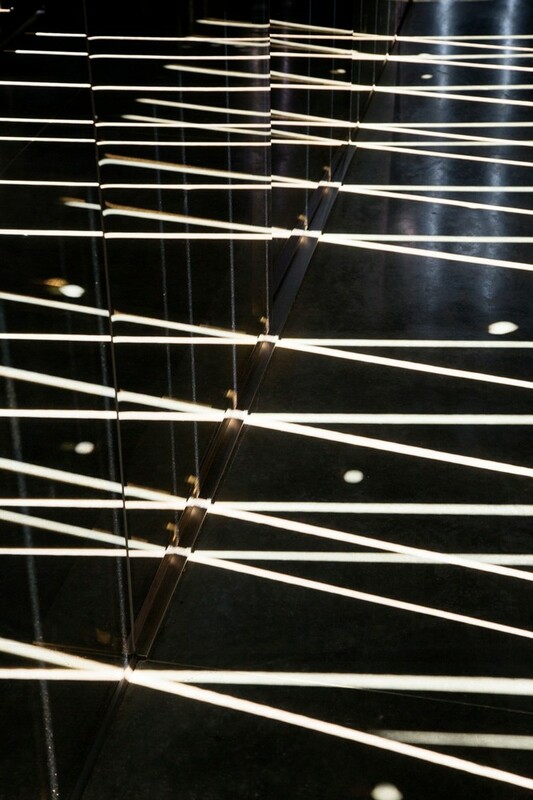 The crisp, pure sunlight of the region provided principal architect William Duff with the catalyst for the concept—contemplation on light. 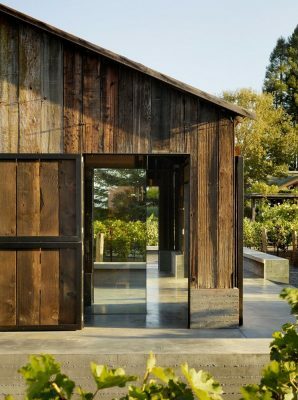 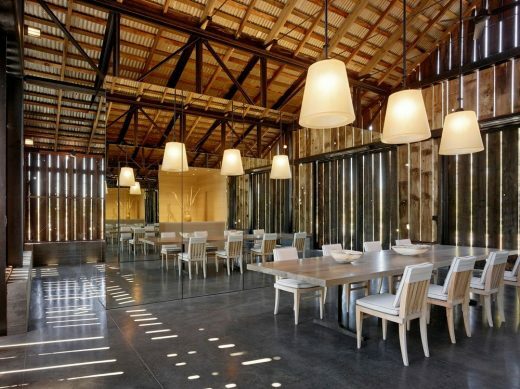 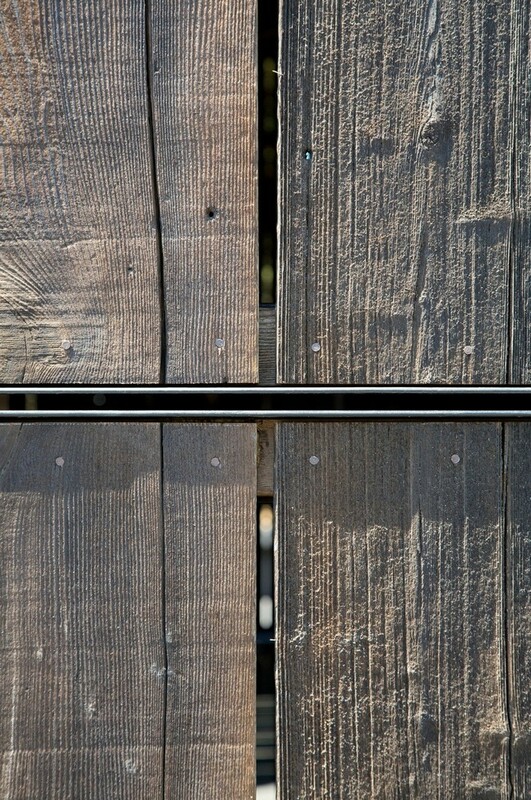 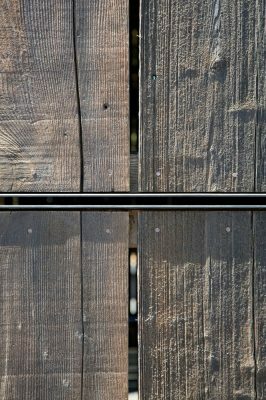 The barn’s wood-slatted shell acts as a screen through which sunbeams stream, splashing ever-changing patterns on the stained concrete floors. Inside, the architect inserted two new opposing glass volumes whose mirrored-walls flank the gathering space, reflecting the barn and the surrounding environment. At night, internal illumination turns the barn into a lantern. 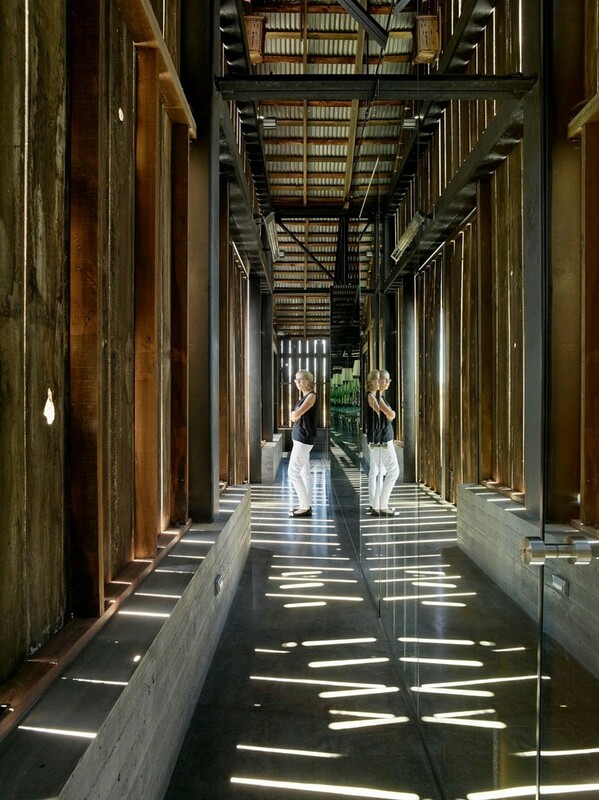 Behind the mirrors are a bar, catering kitchen, personal gym, and restrooms. 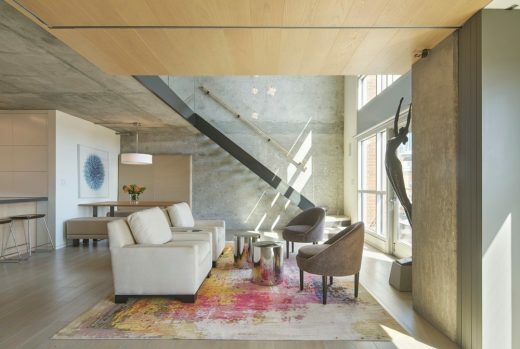 Seamless detailing and the innovative use of materials including industrial strength magnets and two-way glass allow these functional spaces to entirely disappear behind the walls. 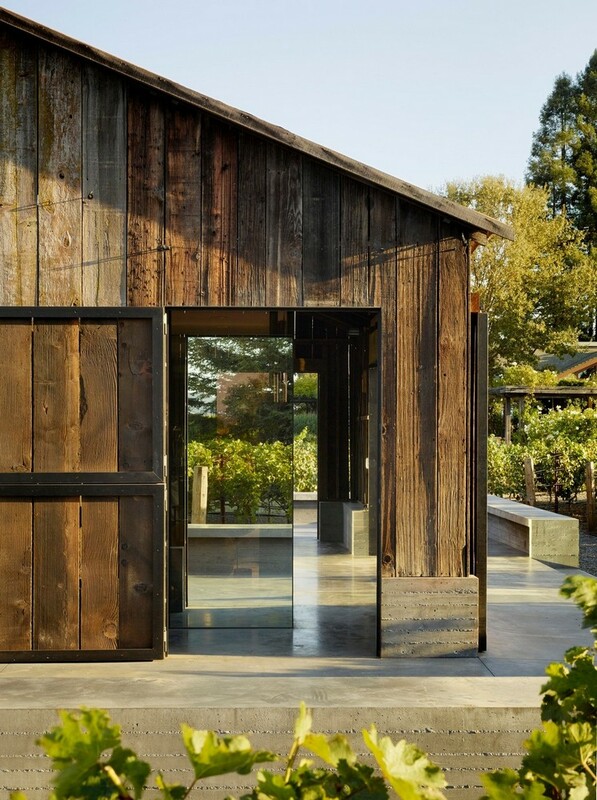 To maximize performance, all conditioned spaces are concentrated within the footprints of the glass volumes, eliminating the need to condition the entire barn. 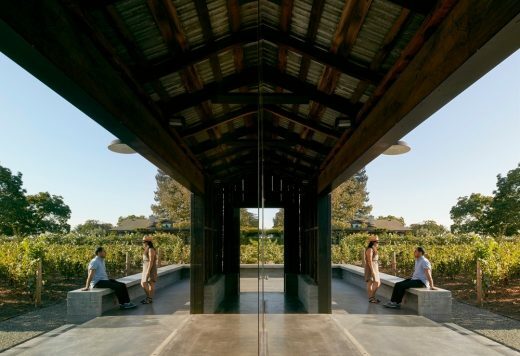 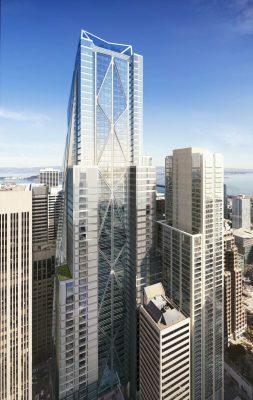 WDA specializes in thoughtful, innovative architecture across the San Francisco Bay Area and beyond. 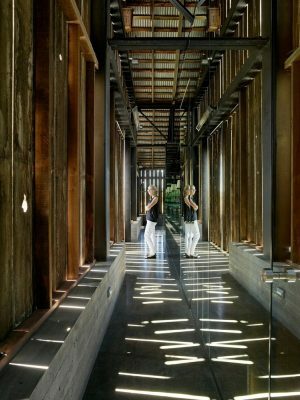 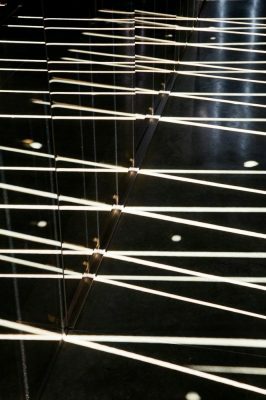 The firm’s elegant design solutions respond to their context with an artist’s understanding of when to use restraint or expression. 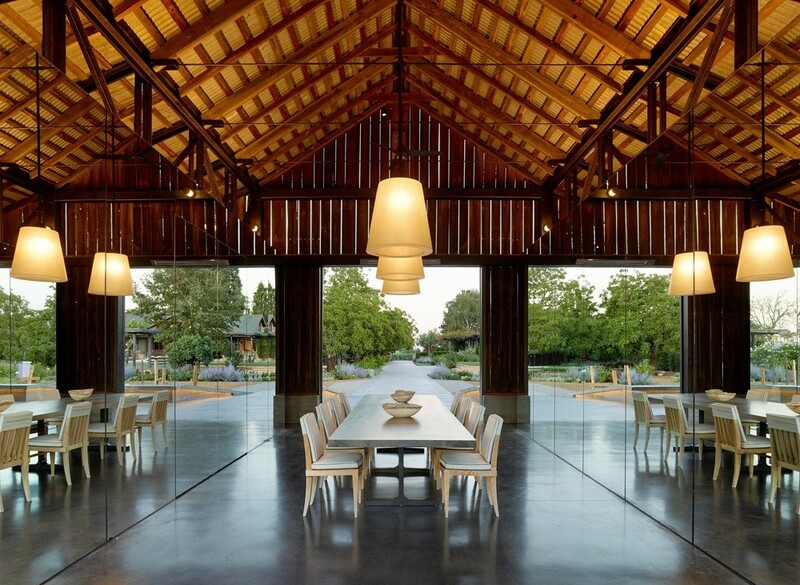 With capabilities in multiple sectors, WDA is known for its award-winning and diverse portfolio of residential, workplaces, hospitality and retail environments.